To persuade parents to vaccinate their children, public health authorities have been giving people facts about vaccines and the diseases that those vaccines prevent. Yet that strategy often backfires. When confronted with the fact that measles is a serious and potentially deadly or disabling disease that can be prevented by a remarkably safe and effective vaccine, many antivaccine parents dig in their heels and become even more strongly antivaccine. Public health workers are often baffled by this response. But as I explain in my upcoming book (No More Measles! ), the explanation for this response can be found in the works of the ancient Greek philosopher Aristotle. Aristotle’s students compiled the classic textbook on rhetoric, which is the art of persuasive speech. Logos refers to facts and logic. Pathos is an appeal to emotion. Ethos means character, such as the reputation of a speaker. As I explain in my book Not Trivial, logos is the only means of persuasion that matters in a scientific discussion, which deals with facts and truth. But to make good choices, you need to use a combination of logos and pathos. First, you use logos to figure out what your options are. Then, you use pathos to pick the option that is likely to lead to the outcome that you want. Ethos becomes important when you don’t have enough knowledge to use logos. For example, if you are a juror in a court case, you must listen to witnesses, including expert witnesses who will explain scientific issues. As a juror, you must decide whether a witness is telling the truth. You must make a judgment about the witnesses’ ethos, or character. Unfortunately, many people systematically trust the wrong sort of characters. Antivaccine parents trust faith healers instead of doctors. They trust uneducated bloggers and radio show hosts instead of real scientists. They trust millionaire alternative health entrepreneurs instead of the underpaid public health workers who are working to eradicate measles. Many people choose their authority figures as a way of establishing their social identity, such as Christian or “crunchy” or both. When you try to change their opinion about vaccines, you disparage their concept of who they want to be. The antivaccine parents are basing their opinions on their feelings about themselves and their chosen authority figures, not on facts and logic. As a result, they cannot be persuaded by facts and logic. As I explain in my book Don’t Feed the Narcissists!, an attempt to use facts and logic to persuade someone can backfire. When you try to use facts and logic to persuade someone, you are actually paying that person a compliment. You are implying that the person is smart and rational enough to take part in a serious conversation. Yet that person may perceive an insult, instead of a compliment. Often, they feel that they deserve a higher social rank than you do. In other words, they feel contempt for you. If you try to tell them something that they do not already know, they may feel that you are challenging them for their position within the social hierarchy. As a result, they may react with narcissistic rage. To defend what they feel is their rightful social rank, they may say and do things that make you doubt their intelligence or even their sanity. Thus, they sacrifice their ethos on the altar of their pride. As a result, you lose respect for them. Yet they are not necessarily stupid or insane. They simply have poor reasoning skills and inflated self‐esteem and thus cannot learn anything from you. We are confronted with two problems that pose a serious threat to public health. One is measles. The other is irrationality: the inability or unwillingness to be persuaded by facts and logic. Fortunately, we can drive measles into extinction through a worldwide vaccination campaign. Unfortunately, we will always have to contend with irrationality. You will never be able to persuade the antivaccination zealots in the United States to vaccinate their children. However, we may be able to drive the measles virus into extinction through a worldwide measles eradication campaign. As I explain in my book No More Measles!, once the measles virus is no longer circulating anywhere in the world, there will be no more need for the measles vaccine. Thanks to widespread use of the measles vaccine, measles had stopped circulating in the United States by the year 2000. Yet we are still having outbreaks of measles in the United States because unvaccinated travelers keep bringing it back from overseas. Currently, the Measles and Rubella Initiative (http://www.measlesrubellainitiative.org/) is working to drive measles and rubella into extinction worldwide. Measles, mumps, and rubella are caused by viruses that occur only in human beings. Today, these viruses are still circulating, mainly in poor countries. If people in the rich countries support the vaccination campaigns in the poor countries, then the viruses that cause measles, mumps, and rubella will be driven into extinction. At that point, the MMR vaccine will be dropped from the vaccination schedule, just as the smallpox vaccination was. So please give some money to the Measles and Rubella Initiative! Measles can be eradicated, but irrationality will always be with us. Fortunately, we can work to reduce irrationality by reforming the public school curriculum. Our public schools are failing to teach the traditional disciplines that help children grow up to be wise and reasonable. 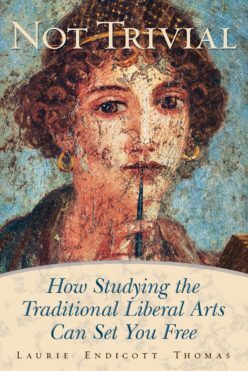 As I explain in my book Not Trivial: How Studying the Traditional Liberal Arts Can Set You Free , most of our public grammar schools in the United States have stopped teaching much grammar. Yet grammar provides the basic skills that students need before they can begin to study logic. If people never learn logic, they will never learn how to make or understand logical arguments. Thus, they cannot use logos for figuring out the answers to scientific questions. 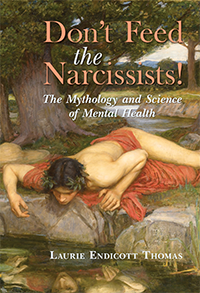 All that’s left is pathos and ethos, which explains why so many of our public discussions quickly degenerate into fear‐mongering and name‐calling and fail to lead to a useful result.